Pity the poor acai berry. At the recent Expo West in Anaheim, CA (which drew over 60,000 visitors), one thing was clear: this was the berry to beat when it came to claiming uber health benefits. I saw several older trends still going strong, such as the coconut craze, and chocolate-as-a-miracle-health-food (kinda forgetting it’s still an indulgence to be eaten in small portions). 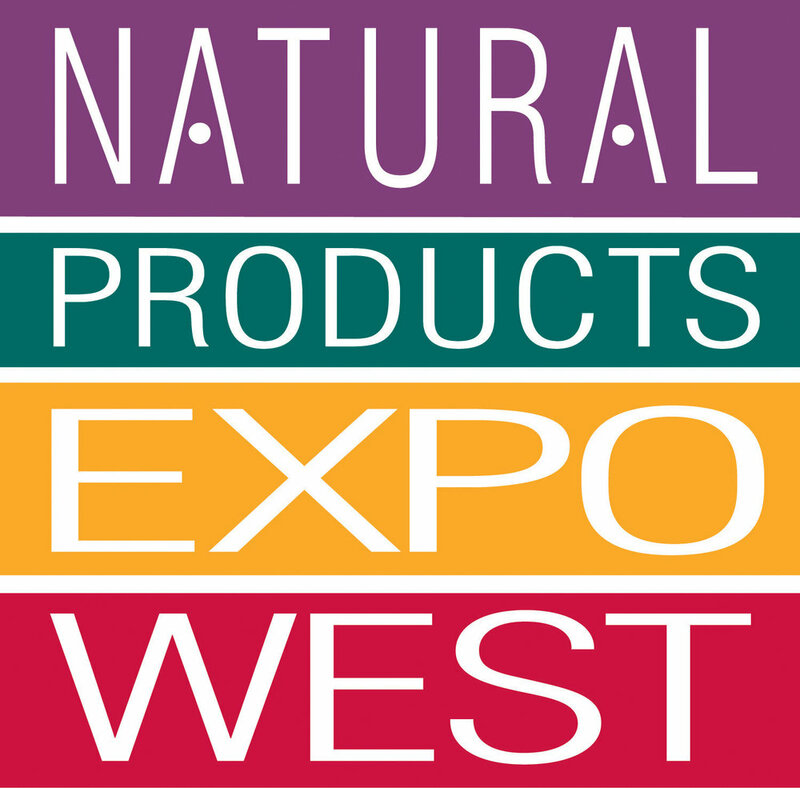 There were lots of newcomers as well- and like any Expo, I had to ask: “what’s hot and what’s hype?” Here’s my take on natural and organic trends from Expo West 2012 that may come to influence a supermarket near you. .
1. Get Ready for Nut Butters 2.0 As a flexitarian, I am slightly addicted to nut butters. Packed with protein, heart healthy fats, and a slew of vitamins and minerals, they are perfect for a power snack or to slather on toast or oatmeal (I often carry single serve nut butters in my purse and car for snacking emergencies). But might we have taken things too far? Goji butters, phytoplankton butters, acaii butters and more joined this increasingly cluttered field-some which were an algae-ish brown color and tasted, well, like something algae-ish brown would taste. I couldn’t help but think that perhaps we’ve taken things too far-we’re back to health food tasting more “healthy” than amazing. I also couldn’t help but question the actual health benefits one might receive from some of these combinations-is a smidgeon of goji berry in a nut butter better than, say, slathering a spoonful of your favorite local 100% blueberry preserves? Bottom Line: If you love em’, there’s probably no harm in adding them to your cart. But unless you are excited to pay a premium for exotic add ins that may or may not confer an actual health benefit, ignore the hype and stick to flavors and blends where the ingredients have sound science behind them (like nuts and seeds). 2. Pity the Poor Acai Berry “New” berries and superfoods from the remote reaches of rainforest or steppes are still granted an instant health halo. If goji and acai are old news, Sea Buckhorn from Tibet, Murta and Calfate from Chile, and a gorgeous Aronia berry from the USA are all newer superfruits that may be coming to a market (or supplement shelf) near you-all touted ORAC scores higher and more potent than acaii. But are they worth it? Bottom Line: Until we see the science of real benefits in health outcomes, I put these in a “nice to have” category of eating. While these superfruits may boast ORAC scores that would make a health nut swoon, it’s an expensive proposition, as most come in powder or extract form, that you then add to smoothies or consume daily in addition to food. Paying $25 of $30 or more for a powder that you sprinkle into smoothies is likely a stretch for most Americans, who are just struggling to put enough fruits and veggies in their grocery carts.
. 3. Fancy A Seaweed Snack? Would you nosh on seaweed as a snack? You will be, if the trends at Expo are any indication. A host of different seaweed snack companies were there-and I’ve got mixed feelings about it. Of course, seaweed and sea vegetables are nutrient rich foods that can be a healthy addition to your diet-they often contain trace minerals and vitamins. However, in a perky little snack pack (which can be plain or seasoned), there’s an awful lot of packaging to preserve the delicate nature of seaweed, which felt wasteful to me (there may have been other companies there that I didn’t see who had a different packaging alternative, if so my apologies, I’d love to hear about you). Also, since the seaweed is so light, airy, and the eating experience so quick, I can’t help but wonder...being low in calorie, and have scant amounts of protein and fiber, I’m also worried that the typical American might not feel as satisfied with it-and will end up snacking again later. Bottom Line: If you like it, could be a healthy addition-but caution with all that packaging. 4. Can you plant your bar in the ground? You’d Better, If You’re Calling it LIVE FOOD. Call it a “full circle moment”. Standing at the “Go Raw” booth the man proceeded to show me how you could literally unwrap the bar (a living pumpkin seed bar), plant it in dirt-and voila-it will sprout! I must admit, I was impressed-it gave me a a deep, primitive satisfaction that this food really was still somehow fresh food (now in a convenient, portable bar). Raw foods are heated just enough to destroy any potentially dangerous pathogens, but to keep the vital living secrets inside the seeds thriving. With all the push I’ve noticed of large conventional food companies trying to remind you how “close to the farm” and “straight from nature” their products are, this was a refreshing, immensely appealing approach. Bottom Line: This is a trend that’s got real health benefits in my opinion. Will be interesting to see if it catches on mainstream. Loved it!
. 5. You Can Track Your Food Back to the Source. Want to know exactly on which farm (or even which acre of the farm) your product was grown? Want to track the entire journey from field to bread, from bean to bar? No problem-many companies are now touting QSR codes that can be scanned to your smart phone and the unique story of that bar or loaf comes to life. Bottom Line: Most people I know already feel overwhelmed with information overload. So while I applaud and admire the concept of transparency in the chain, I have to ask: will consumers care?
. What were your favorite trends from Expo West? What do you think of QSR codes? I’d love to hear from you.